Setting up shop on Stand 121D, ED&I visitors will be able to get full details of three new product ranges that can not only save energy and money – but also improve working conditions through the improved control of lighting. ED&I is the new national trade show for the electrical industry serving the electrical contracting industry covering electrical engineering and electrotechnical design, installation, inspection, testing, maintenance and monitoring. First up, PIR occupancy switches with dimming and corridor function. These products switch on when an area is occupied and maintain a chosen lux level in the area by dimming the lights in response to changes in the ambient daylight level. There is also an adjustable ‘Run-on’ timer which allows the light to be returned to a minimum background level following a period of occupancy. This can either be for a chosen time period or as a permanent background light. These products are available for DALI, DSI or 1-10VDC dimmable ballasts. 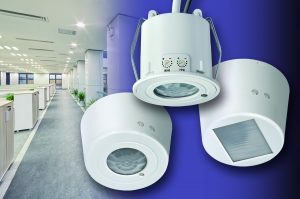 This function is ideal for corridor lighting to ensure occupants have some artificial light available for additional safety and security. Daylight linked dimming has the additional benefit of preventing over illumination. The Danlers range of High Bay passive infra-red (PIR) occupancy switches is specifically designed for the automatic control of lighting loads in areas with demanding mounting heights such as factories, storage aisles, entrance halls and sports halls. They detect the movement of people within the detection zone and control the lights accordingly. The maker says the products are straightforward to install and generally make use of existing wiring, making them suitable for either retrofit or new installations. As with all Danlers PIR occupancy switches, these products include a relay with special high surge contact material, so they are suitable for use with high bay LED lamps. They are available in either manually configured formats or in remotely programmable versions using Bluetooth (100m signal range) from an android phone or tablet. The high bay controls are available in three types – each with a detection pattern which is optimised for particular applications. The Narrow Detection versions are ideal for covering storage aisles. The Spot Detection versions are ideal for smaller areas, such as the entrances to storage aisles. The Wide Detection versions are ideal for large open areas, such as factories, sports halls and entrance halls. Designed for the automatic control of lighting or other connected loads, these controls are remotely set-up or adjusted using a free app on an Android phone or tablet. 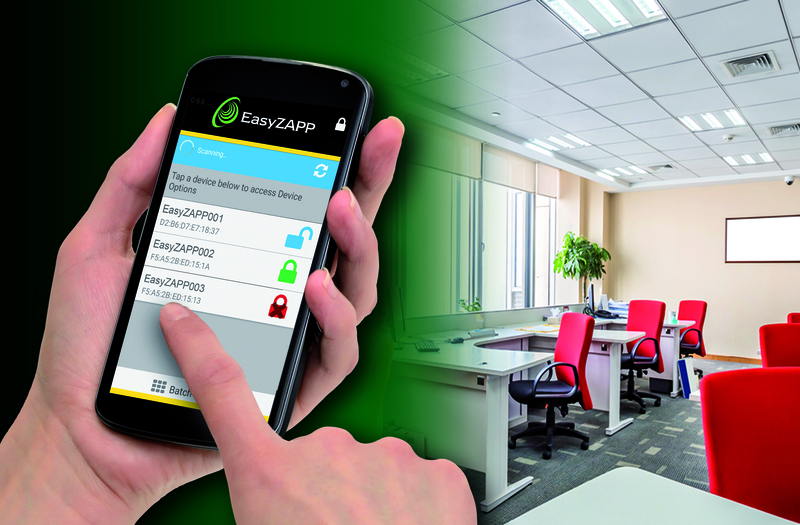 EasyZapp products work as presence detector switches and can be adjusted for settings such as photocell override, time lag and maintained lux levels (dimmable versions only). The phone or tablet can be used as a remote control on/off override or to configure a number of EasyZapp controls at the same time. These products also make use of existing wiring, making them suitable for retrofit or new projects. The EasyZapp range includes switching only controls as well as controls for dimming available for either DALI, 1-10VDC or DSI dimmable ballasts. 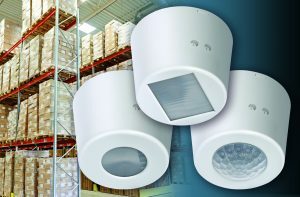 Mounting options include: Ceiling flush, ceiling surface, high bay and batten mount variants.